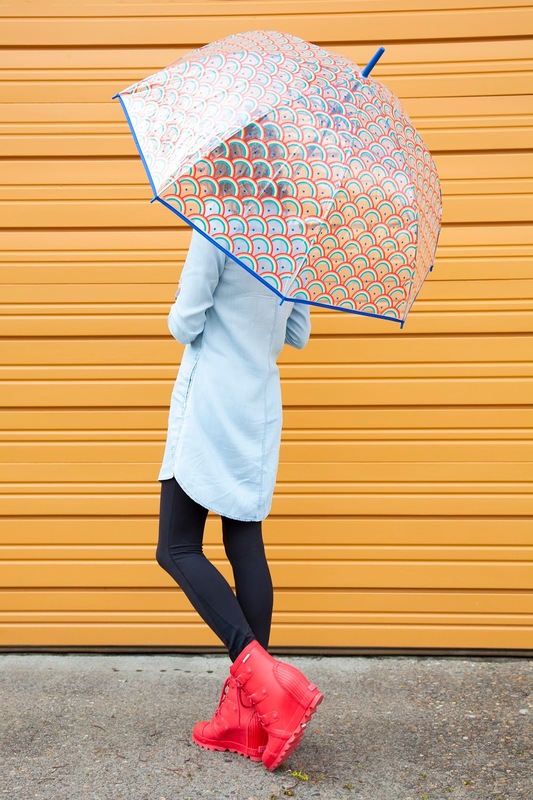 Just kidding, I'm SO ready for this rain to be GONE! 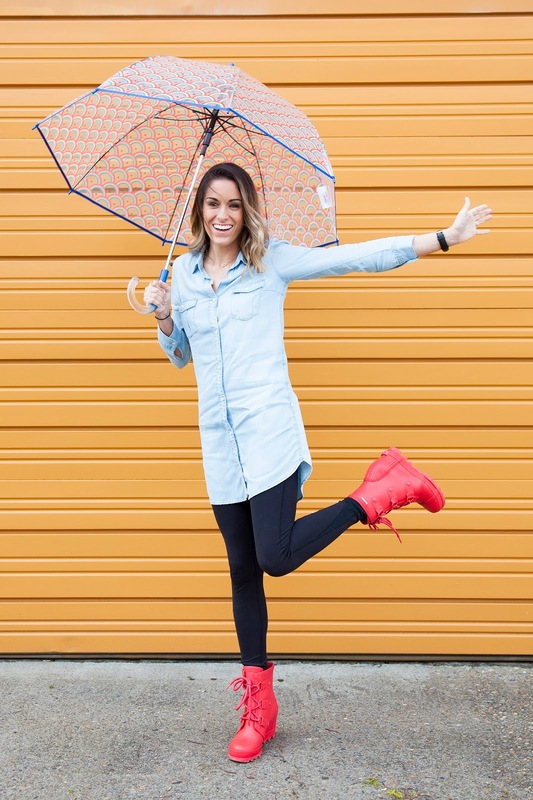 However, in the meantime, I'm going to enjoy the fact that SOREL now has rain boots! 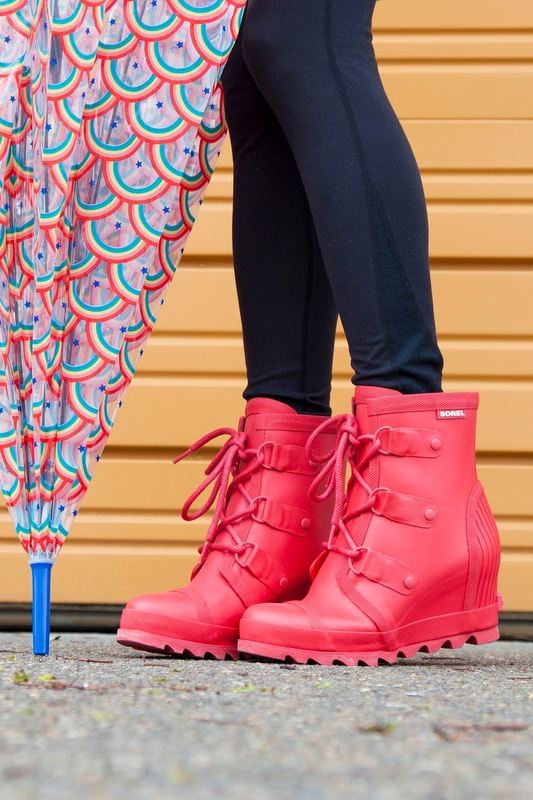 And not just any rain boots, rain wedges! 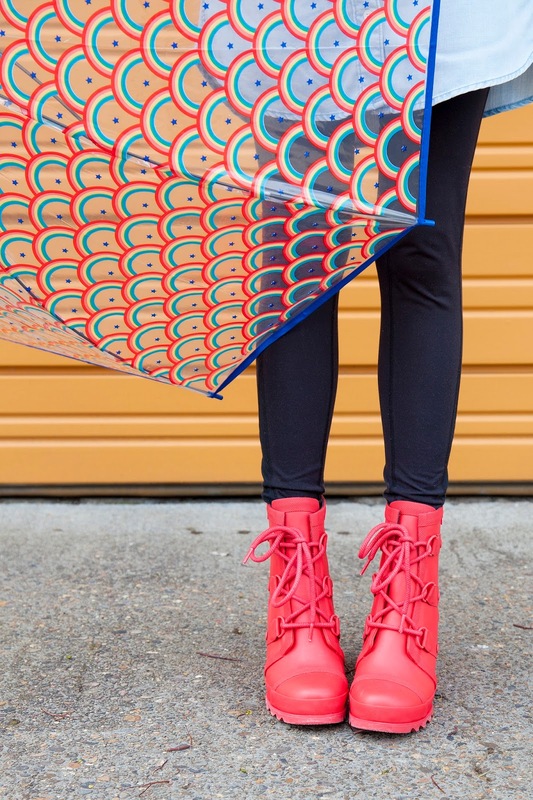 Gone are the days of 'meh' rain boots. 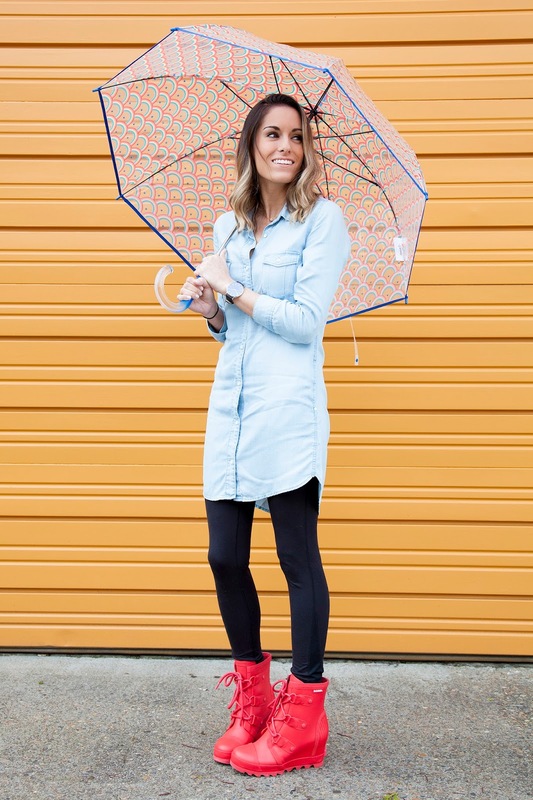 These rain wedges have changed the nasty weather styling game completely. There's no need to bring a change of shoes with you to work or wherever you're going -- these guys were meant to look stylish enough to wear all day long, no matter if you're running errands or you're at the office.